Study theory online for driving license! Do our driving license tests online - wherever you want, whenever you want. 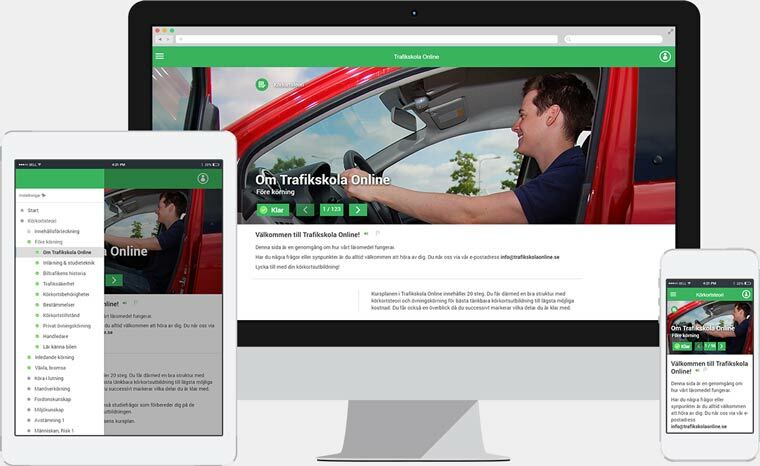 1000+ questions with explanations like the real driving license test. As a bonus, you will also receive our complete teaching material in Swedish. Here you can find just over 80 exercises with pictures and simple tips for exercising. Our teaching materials are used by many traffic schools in Sweden. One of many reasons for this is that every question and explanation has sound support.